Color: Dark amber, chestnut honey with thin legs. Nose: Like walking into the damp cellars of a bodega... Mold covered walls, a copita full of old and dusty Pedro Ximenez and decaying wood staves. Overripe strawberries, fruit cake and touch of sulphur. Nutmeg, cinnamon sticks and Zante currants. Mayan hot chocolate, dates and wild mushrooms. Such a pleasure taking the time to nose this whisky. Worn out leather upholstery and wet tobacco leaves. Finish: Medium-long with red pepper, tobacco and dark cherry cola. 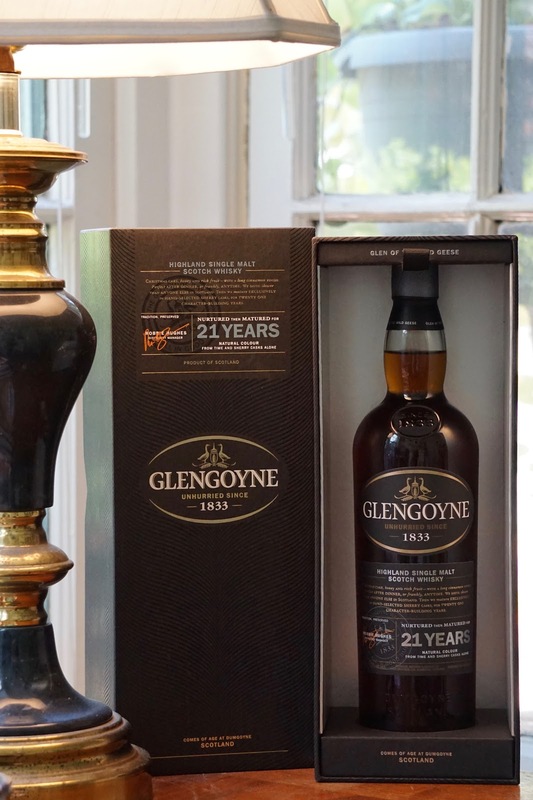 Overall: Stunning whisky for the price you pay for... It's spicy, fruity, tart, sweet and incredibly luscious. Would I prefer it at a slightly higher abv? Yes, I definitely would but nevertheless this bottle is a solid proof that actually a 21yo sherry cask matured whisky can be sold in this day and age at this price instead of thousands and thousand of dollars. Kudos and thanks to Ian Mcleod Distillers... In the end I am still skeptical that this whisky will stay at this price range in today's market and I think I should go ahead and get a back-up bottle sooner than later. Like I said it is too good to be true.